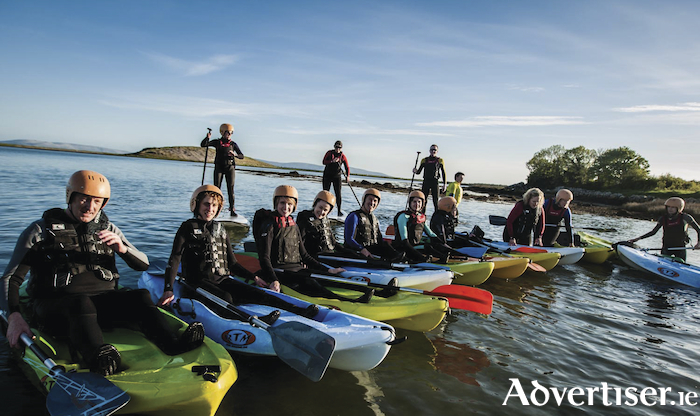 Rusheen Bay, one of Galway city's main water sports amenities, is being auctioned on Friday July 20 and risks being “lost forever unless people act fast”, according to a group of water sports enthusiasts, now seeking to buy the school. The Rusheen Bay windsurfing and water sports school is being auctioned for an asking price of €200,000. However, there are concerns the popular amenity will lost if purchased by developer interests. The group also said that if Rusheen Bay was lost to developers, that this would have a "serious impact on tourism, employment, and the "life of the residents who live in the area". Windsurfing and water sports have been carried out in Rusheen Bay since 1991 and it is estimated that more than 25,000 children and adults have learned water sports at the bay. Originally it was run by Martin Rowe and Aoife Cooke; then Cathal Kavanagh between 1995 and 2011, after which it was sold to Danny Mulryan, Galway Bay Watersports Ltd.
Rusheen Bay plays annual host to Irish Windsurfing Association events such as the Irish Windsurfing Championships, National Freestyle Championships, Intervarsities, and the IWA Youth Championships. It won the Irish Sailing Association Training Centre of the Year award in 2011. However the school has not been open since October 2017.